Goal: Develop a strategy for selecting maximally diverse cell types/lines to maximally cover biological targets and pathways for high-throughput chemical screening using gene expression (i.e. transcriptomics). Issue: HTT is an efficient means of screening chemicals for bioactivity across a broad range of potential molecular targets. However, no single laboratory (in vitro) model will express all molecular targets or accurately model the diversity of chemical disturbances observed in different cell types of the human body. As in vitro models derived from diverse tissues and sources have different gene/protein expression patterns, they may respond differently to chemical exposures. A HTT screening panel using diverse cell lines would provide a more comprehensive understanding of chemical bioactivity than studies in any single cell type. Project Focus: Use computational modeling of existing transcriptomics data to select a set of “diverse” cell lines, measure transcriptomic responses of “diverse” cells following exposure to a panel of chemicals, determine the degree to which “diverse” cell lines respond differently to chemicals, and analyze the responses among pooled cell lysates. Goal: Develop a high-throughput in vitro test system to identify and characterize new compounds that block the activity of acetylcholinesterase. Issue: Acetylcholinesterase (AchE) inhibitors are compounds related to foods, drugs, and the environment that can be toxic to humans. Project Focus: To advance existing methods, metabolism will be incorporated into the in vitro screening system, which, in addition to in-depth mechanistic studies, may improve the ability to detect emerging chemical hazards. Goal: Understand the impact of chemical disposition within in vitro test systems across a broad range of chemical categories and develop a computational model to predict differences between the “nominal” concentration of a chemical compared with “true” concentration in the media and cells. Issue: In a cell-based laboratory test (in vitro assay), the actual concentration of a chemical inside cells is likely different from the nominal concentration applied to the medium in the well of a microtiter assay plate. Mathematical models exist for predicting in vitro disposition, but very few chemicals have been evaluated for in vitro disposition. Across the Tox21 chemical library, chemical partitioning could affect the accuracy of predictions made from laboratory (in vitro) data about living (in vivo) systems, but the number of chemicals affected and to what degree are unknown. Project Focus: This cross-partner project includes measurement of in vitro disposition of approximately 200 chemicals, with the goal of developing model predictions for the rest of the Tox21 chemical library. Goal: Develop a common chemical reference dataset for interpretation of high-throughput transcriptomic screening data. Issue: Gene expression profiling has proven to be an invaluable tool to explore mechanisms of chemical interactions with biological systems (e.g., pharmacology, toxicology). However, these tools historically lack sufficient volume to study a broad range of chemicals or characterize concentration-response profiles necessary to identify disturbed biological-response pathways. Project Focus: Build a robust transcriptomic data set with hundreds of chemicals, primarily made up of data-rich reference chemicals with established links to biological-response pathways. Transcriptomic signatures will be developed to identify molecular targets and pathways that are perturbed by chemical treatment as well as the progression of perturbations as a function of chemical concentration. Goal: Evaluate a human-based, induced pluripotent stem cell (iPSC) test system to predict developmental toxicity. Issue: Traditionally, information from studies using laboratory animals has been used to predict the impact of chemical exposure on the human fetus. However, these studies are slow, costly and unrealistic for assessing tens of thousands of environmental chemicals in commerce, and this approach may not provide adequate coverage of human biology. Project Focus: Evaluate an assay (test) based on reducing cellular ornithine’s release relative to cystine uptake by iPSCs. Coupled with computational predictive modeling, the in vitro test system findings can be extrapolated to living systems (in vivo) and dose-activity measures translated to the whole-body level. This approach enables exposure-based risk characterization for chemicals considered high priority for developmental toxicity. This cross-program project will work towards the characterization, validation, and implementation of this platform by modeling the predictive and health-protective potential of the assay with regards to fundamental principles of abnormal development in the womb. Goal: Incorporate genetic variation into cell-based test systems to better understand potential population differences in response to chemicals that may cause toxic neurological effects. Issue: Genetic differences between people can have a profound effect on whether an individual is susceptible to negative health outcomes caused by a given chemical. Project Focus: Use neural progenitor cells derived from a highly diverse rodent population, called the Diversity Outbred, to determine variability in toxicity outcomes after exposure to known or suspected neurotoxic chemicals. The data collected has the potential to inform human health risk assessments for chemical exposures, replacing default inter-individual uncertainty factors. Goal: Develop an evaluation framework for the development of performance standards which can be used to establish confidence in alternative test systems and models. Issue: Validation is needed to increase the usefulness of ToxCast and Tox21 high-throughput screening (HTS) data in regulatory applications. 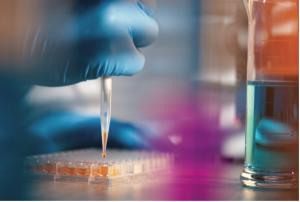 Project Focus: Develop curated sets of active and inactive reference chemicals as well as known assay interference chemicals. In addition to developing a process for identifying reference chemicals, defining a process for describing the essential test method components, evaluating the assay data for accuracy and reliability, and declaring the assay “validated” is necessary. Finally, both the development of reference chemical sets and a validation process must be streamlined and fast enough to manage the tens to hundreds of assays that can help inform regulatory decisions. Goal: To add xenobiotic metabolism capability to existing Tox21 assays so they provide more accurate and informative data regarding in vivo activity. Issue: Existing Tox21 high-throughput screening assays generally lack significant xenobiotic metabolism capability either for activation or for detoxification of tested chemicals and, as a result, testing results may not accurately reflect in vivo activity, which could lead to mischaracterization of potential hazards. Project Focus: 1) To add xenobiotic metabolism (XM) capability to existing Tox21 assays; 2) to use these new XM capable methods to screen the Tox21 10K compound collection to identify chemicals that are either bioactivated or detoxified by XM; and 3) to identify the enzyme(s) responsible for observable XM-mediated shifts in bioactivity. Goal: To improve the prediction of adverse drug effects by using additional assays that can probe toxicologically important targets and pathways that are not captured in current Tox21 testing. Issue: Current Tox21 high-throughput screening assays cover a limited portion of the biological response space and are unlikely to capture enough toxicity mechanisms to be adequately predictive or to effectively develop comprehensive in vitro toxicity profiles. Project Focus: 1) Develop, optimize, and use six new assays to screen the Tox21 10K collection; and 2) improve prediction models for adverse drug effects, including but not limited to drug induced liver injury and cardiotoxicity, by incorporating data from the new assays. Goal: To develop high-throughput screening (HTS) assays that can evaluate chemicals in the Tox21 10K library for the potential to cause skin sensitization, eye irritation, or serious eye damage. Issue: Assessing the sensitization or irritation potential is a key element in the safety evaluation of topically applied or exposed chemicals and drugs. European legislation now mandates the use of alternative test methods for these compounds, instead of testing them on animals. Developing HTS assays for these compounds would provide a faster and cheaper alternative testing method than current in vitro assays. Project Focus: 1) Develop a quantitative HTS assay to determine which chemicals in the Tox21 10K library are potential skin sensitizers. The identified sensitizers will be tested using the hCLAT assay, cytokine secretion assay, and bio-printed skin model, and the results compared to available in vivo data. 2) Use immortalized human corneal epithelial cells, instead of Statens Seruminstitut Rabbit Cornea (SIRC) cells, to develop a quantitative HTS assay to screen the Tox21 10K library for chemicals that can cause eye irritation or serious eye damage. Goal: To generate chemical reactivity information for the Tox21 10K library and determine which chemicals are electrophiles. Issue: Existing Tox21 high-throughput screening assays do not characterize non-specific reactive chemicals. The ability to characterize these chemicals and determine which are electrophiles would enhance the prediction of adverse events, such as skin sensitization and liver and kidney toxicities, which may be caused by chemical electrophiles binding to cellular nucleophiles. Project Focus: Adapt the (E)-2-(4-mercaptostyryl)-1,3,3-trimethyl-3H-indol-1-ium thiol (MSTI), a biochemical reactivity assay, to provide semi-quantitative kinetic information, that can be used to predict toxicities mediated by electrophiles binding to cellular nucleophiles.